I read this article and found it very interesting, thought it might be something for you. The article is called Book Review: Red Clocks – Leni Zumas and is located at https://www.totallydublin.ie/more/print/book-review-red-clocks-leni-zumas/. 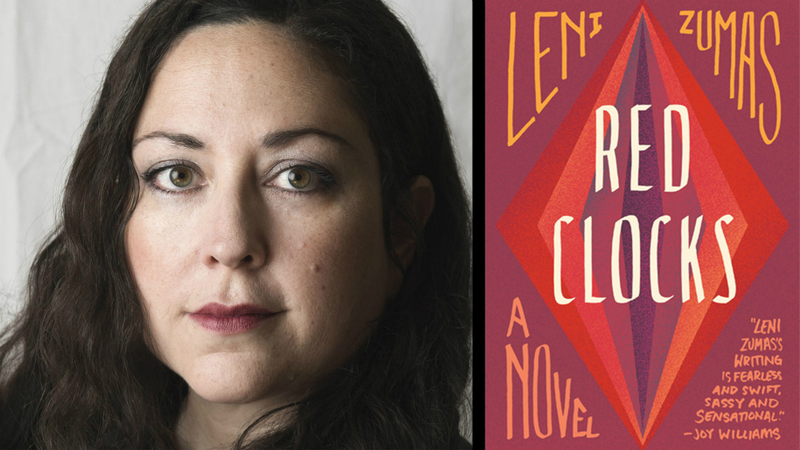 Leni Zumas’ second novel is set in a fishing village lashed by rain on the northwestern coast of the US, by a sea that, in stark opposition to the novel’s protagonists, “doesn’t suffer from not knowing what on earth, exactly, it is meant to do”. The concept of life’s purpose, most specifically women’s purpose in life and the ways in which this is prescribed, judged and controlled by others – both at individual and institutional levels – is at the thematic heart of this sparkling, diaphanous book. The premise is a “dystopian near-future” in which abortion has been illegalised in the US. Border controls with Canada preclude the option of travelling for termination, and single parents are forbidden from adopting. Any woman seeking a termination risks a jail sentence. The book follows the narrative of four women whose lives have been affected by the restrictive legislation in different ways. The Biographer (Ro) is a 42-year-old schoolteacher and would-be writer whose desperate longing for motherhood, in conflict with her feminist politics, is driving her deep into debt as she pays her artificial insemination bills with credit cards. The Wife (Susan) to all appearances has a perfect family and home, but she is trapped in a loveless marriage, mired in depression, and secretly daydreams about driving off a cliff with her toddlers in the backseat. The Daughter (Mattie) is a gifted student who, dealing with a crisis pregnancy at 15, finds her options under the new law running out, and The Mender (Gin) is a hermit who lives in the forest and whose knowledge of herbal medicine is the last recourse for many local women whose access to healthcare is severely compromised. We encounter these women at first as defined solely by their relationships to others, before they gradually come into focus as individuals; the ingenuity of this structure is that it allows us to see them first as they are perceived by each other and by the outside world, finally giving us a gradual and brilliantly realised insight into the rich interior life of each. Throughout the book flits the ghost of a fifth woman: the biographer’s subject, Icelandic female Polar explorer Eivor Minervudottir – a 19th century scientist who preferred “immurement in the spectral wastes to a seat at the warmest hearth”. This is a woman whose research was not published under her own name, who had no children, no professional acknowledgment, whose life was nonetheless filled with learning and adventure: in terms of what constitutes a meaningful life, she is perhaps the ultimate proof that what is a good decision for one may not be a good decision for another; a conclusion which is borne out by each character in turn. At a time when women’s reproductive rights are at the forefront of debate in our own country, Red Clocks is a beautifully rendered and extremely timely examination of the experience of what it is to inhabit a woman’s body and yet to be without the right to exercise autonomy over it.